Sadio Mane scored his 11th goal in as many games for Liverpool against Fulham this weekend and it’s not gone unnoticed by Reds legend Jamie Carragher. Speaking in the Sky Sports commentary box, the former defender said Mane is “not just the form man in the Premier League, but the form man in Europe” – as quoted by the Mirror. 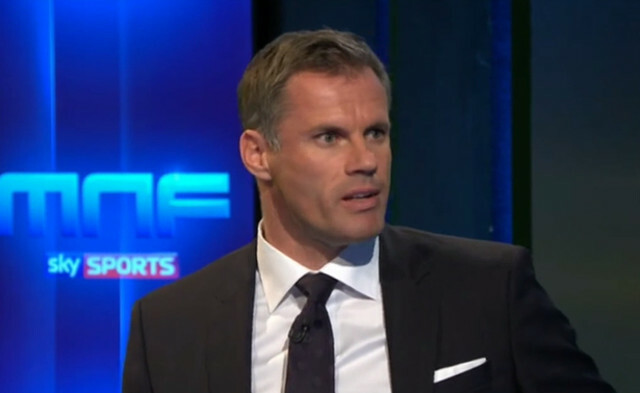 Given how well the Senegalese star has been playing of late, it’s hard to disagree with Carra! Mane’s strike ensured the Reds had a 1-0 lead before half-time at Craven Cottage. His 20th goal in all competitions this season. The win for Liverpool takes them two points ahead of Manchester City, but the Citizens have a game in hand on the Reds. Jurgen Klopp’s men will be hoping Fulham put in an even better performance at the end of the month when they host City in the league. Bobby Firmino provided Mane with an assist today; his sixth assist of the season for Liverpool. With Mo Salah currently firing blanks it’s important that one of our other star players is firing them into the back of the net. Can Mane go for the Golden Boot? His current goal-scoring form certainly suggests as much!